Nestled into Na Toba O Lakalaka, a private sheltered bay on the beautiful island of Malolo lies Tropica Island Resort. 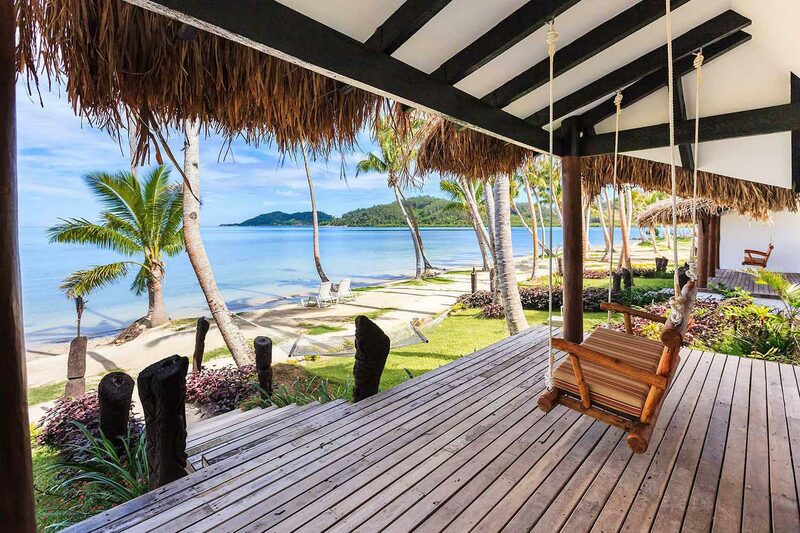 Facing West and offering breathtaking views over nearby islands of the Mamanuca archipelago, Tropica is an intimate, boutique resort created especially for adults. 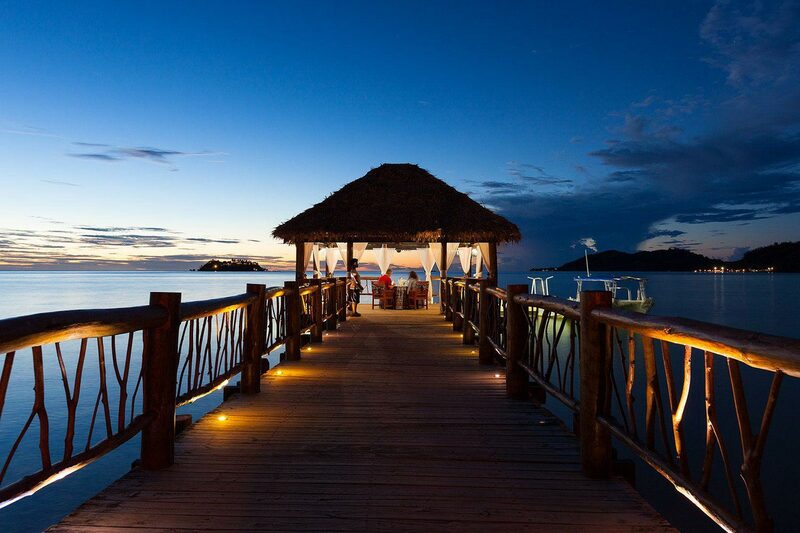 Elegant accommodation sits beachfront amongst swaying palms and lush tropical gardens. It has been said that ‘what sets Tropica apart is our heart and soul which are the staff and the ambience of our home’. Inspired by the tropical sanctuary in which they overlook, our 7 Sanctuary Suites are newly completed and freshly furnished. Modern and contemporary, the suites offer a generous space inclusive of open plan bedroom and living area. Perfect for couples and honeymooners, all suites also offer a delightful private balcony with views of the ocean complete with a step down plunge pool. A stylish interior bathroom flows effortlessly into the stunning rear courtyard complete with private outdoor shower. At 60 square metres, these rooms offer a charming combination of elegance, luxury and comfort. Sanctuary Suites will accommodate maximum 3 guests. Rate includes complimentary American breakfast daily. nightly turndown service and once daily replenished bottle water. Bedding Configuration: 1 x King Bed or 2 x King Singles, sleeps 2 x Adults. Beachfront Bures will accommodate maximum 3 guests. Rates include complimentary American breakfast daily, nightly turndown service and once daily replenished bottle water. 10 Beachfront Bures with plunge pools are located only metres from the water and are surrounded by lush tropical gardens. Complete with indoor bathrooms with double vanities and a stunning river rock outdoor shower, these rooms are perfect for honeymooners and couples. Beachfront Bures will accommodate maximum 3 guests. Rate includes complimentary American breakfast daily, nightly turndown service and once daily replenished bottled water. South Sea Cruises – operate Catamaran Transfers from Port Denarau Marina three times a day departing at 9.00am (2 hours via other islands), 12.15pm (2 hours via other islands) and 3.15pm (45 minutes direct). Private Speedboat or Water Taxi – Professional speedboat and water taxi transfers are available on request one way or return. Fast and convenient, boats depart on demand at a time suitable to you from Port Denarau and arriving at Tropica within the hour. 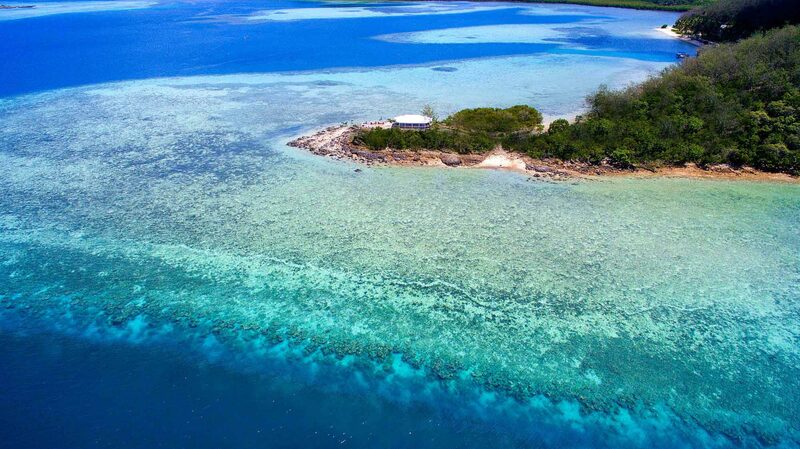 Sea Fiji Link – Sea Fiji operates a fast boat transfer between Denarau Marina and Tropica. This may include a number of stops at other resorts and direction/number of stops will be determined by passenger numbers on the day. Travelling time on average is approximately 60 minutes. Departs Denarau daily at 5.30pm. PACIFIC ISLAND AIR offer Amphibious floatplanes. They depart Nadi International Airport and from other locations by prior reservation arrangement. Flight time is approximately ten minutes from Nadi. Turtle Airways are another option, which is situated a 15-minute drive away from Nadi International Airport on Wailoaloa Beach and offers beach to beach transfers to Tropica Island. Flight takes approximately 12 – 15 mins. 20kg weight restriction applies. Helicopters seating a maximum or six persons depart Nadi International Airport and from other locations by prior reservation arrangement. 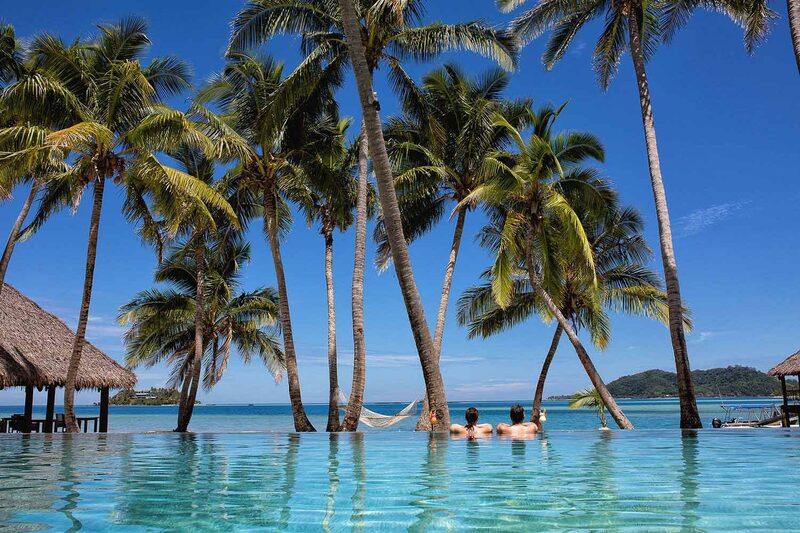 Flight time to Tropica Island is approximately ten minutes from Nadi.